MARION — The release of the Southern Illinois Miners' newest schedule ever came with some interesting pieces of information. 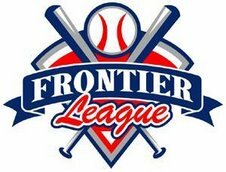 The Miners will begin their second season of Frontier League play Wednesday, May 21, in Sauget to begin a three-game series with the Gateway Grizzlies. The home opener is Saturday, May 24, against the Evansville Otters. 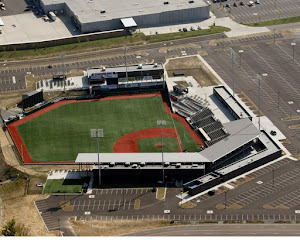 What is newsworthy besides the release of the schedule itself is that the Frontier League has become a two-division league, like it was prior to the 2007 season when Southern Illinois and Slippery Rock were added as expansion teams. Last season, teams competed in either the West, East or Central divisions. 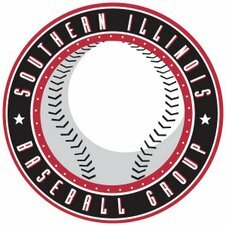 The Miners are still in the West Division along with Gateway, River City and Evansville, but have been joined by Windy City and Rockford from the former Central division. Kalamazoo and Traverse City are now members of the East along with Washington, Chillicothe, Florence and the Midwest Sliders. Although no formal announcement has been made, the Slippery Rock franchise will become a travel-only team this season, Miners manager Mike Pinto confirmed. 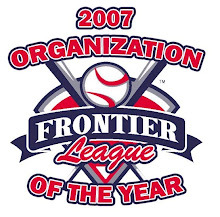 Windy City is the Frontier League's defending champion, having knocked off Washington in the championship series. Washington eliminated West division champion Gateway in the division series, while Windy City took out Wild Card winner Rockford to advance. Pinto said the adjustment to a two-division format — with two division champions joined by two teams with the best remaining records — presents the same challenge as last year to get to the postseason. "The truth is, you still have to win a lot of games to get in," Pinto said. The major difference is that the Miners will only have to face teams such as Gateway and River City 12 times instead of 18 like last year. Teams from the West will play six games against East clubs, three at home and three on the road, Sliders excluded. 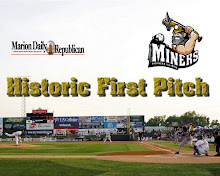 The Miners opened their inaugural season with six straight road games as construction of Rent One Park was being completed. They also spent spring training at Marion High School's Crisp Sports Complex and John A. Logan College out of necessity. Having a chance to spend spring training at Rent One Park will be a major plus entering the second season, Pinto said. "I like having the entire spring training there," Pinto said. "Last year, we were at different places and had to cart equipment from place to place and it was a lot harder than we let on. Everyone was great to help us out, but it wasn't easy." 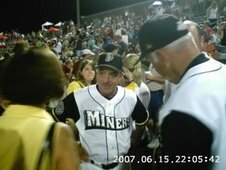 Pinto was informed that "holiday pack" ticket sales for Miners games have been brisk and said the announcement of new players are coming soon. The addition of utility man Brandon Jones was made earlier this week. Unlike last season when virtually every future Miner was anonymous, fans already know much of what next year's team will look like. Everyday players such as Tim Dorn, Mike Scanzano, Kevin Koski and Eric Suttle are expected to return, as well as pitchers Travis Hope, Nick Tisone and Chris Little, to name a few. Deals for new additions are in the works, Pinto said. And as May approaches, fans now have a schedule to behold as anticipation increases. "We're at the point where it can't come soon enough," Pinto said. Windy City pitcher Shawn Phillips has signed with the Florida Marlins. Last season for the ThunderBolts Phililps was 8-4, 2.45 with 100 strikeouts against only 12 walks. Washington’s Travis Risser signed with the Tampa bay rays (They have dropped “Devil” from their name.) 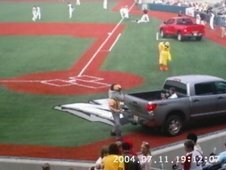 Risser was 4-2, 1.09 for the Wild Things in 2007. Traverse City has signed lefthanded pitched Jacob Cook. Cook was 3-1, 3.28 for the Gulf Coast Blue jays in 2007. Last month they signed outfielder James Conrad, a speedster who stole 49 bases at Lafayette College this past season. 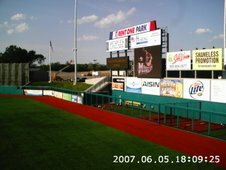 There will be something new and something old at Wuerfel Park in 2008. New is the playing surface, made of GameDayXpe turf, similar to FieldTurf. Old is the return of Mancino’s Pizza. I ate a Mancino’s when I was in Traverse City a couple of years ago and it’s really good. They have these pizza crust nuggets that are, I think, dipped in butter and then rolled in parmesan cheese. They are similar to the crazy bread at Little Caesar’s but not as greasy and with a firmer exterior. IMHO, Mancino’s is a “must visit” in Traverse City, along with North Peak Brewing. 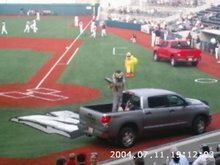 The Gateway Grizzlies have announced that their 2007 coaching staff of Phil Warren (manager), Darin Kinsolving (hitting) and Randy Martz (pitching) will all return in 2008. No surprise there, considering the great season the Grizzlies had in 2007. 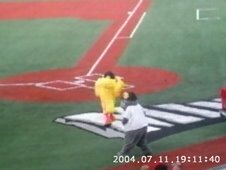 The Florence Freedom has hired a firm to “rebrand” the team. The company will, according to the press release, “will examine all phases of the team’s communication, including logos, mascots, print and digital communication.” I’m not sure exactly what is happening but it sounds as if the Freedom may be looking at a new image. I am impressed that Clint Brown each year improves the operation a bit more. Scott Gierman has joined the Southern Illinois Miners as play-by-play announcer. Gierman spent the last three seasons calling games for the Savannah Sand Gnats (Single A) and a year prior to that for the Charlotte Knights (Triple A). MARION, Ill. – This holiday season the Miners are offering fans a great gift idea, a holiday pack of 10 box seats for only $80. The 10 Game Holiday Pack offer is good for any 2008 Miners home game, excluding Opening Day. Holiday Packs will be available beginning on Friday, Nov. 23 at 10 a.m. at the Miners General Store at Rent One Park. They will also be available on the website. Of the 10 games, fans can choose five weekday (Sunday-Thursday) games and five weekend (Friday and Saturday) games. Game choices are subject to availability, and seating locations may vary by game. Fans receiving the Holiday Pack as a gift have until Jan. 11 to select their games. 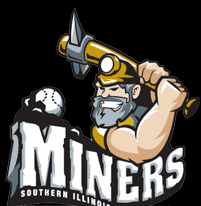 MARION — The Southern Illinois Miners will have a new voice on the team’s radio broadcasts for the 2008 season. Scott Gierman joins the Miners as the new play-by-play announcer and media relations director. Gierman spent the previous three years with the Savannah Sand Gnats, a Class A affiliate of the New York Mets. While in Savannah, Gierman headed up the media relations and creative departments. He also called the play-by-play for all Gnats home games over the Internet. 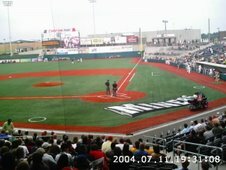 Following the 2006 season, his first as media relations director, Gierman received the honor of South Atlantic League Media Relations Director of the Year. Prior to his time in Savannah, Gierman also spent a season working with the Charlotte Knights, the Triple-A affiliate of the Chicago White Sox. A native of Griffith, Ind., Gierman graduated from Indiana University in Bloomington with a major in sport communication and a minor in telecommunications. Gierman replaces Mike Lockert, who called the Miners' inaugural season.